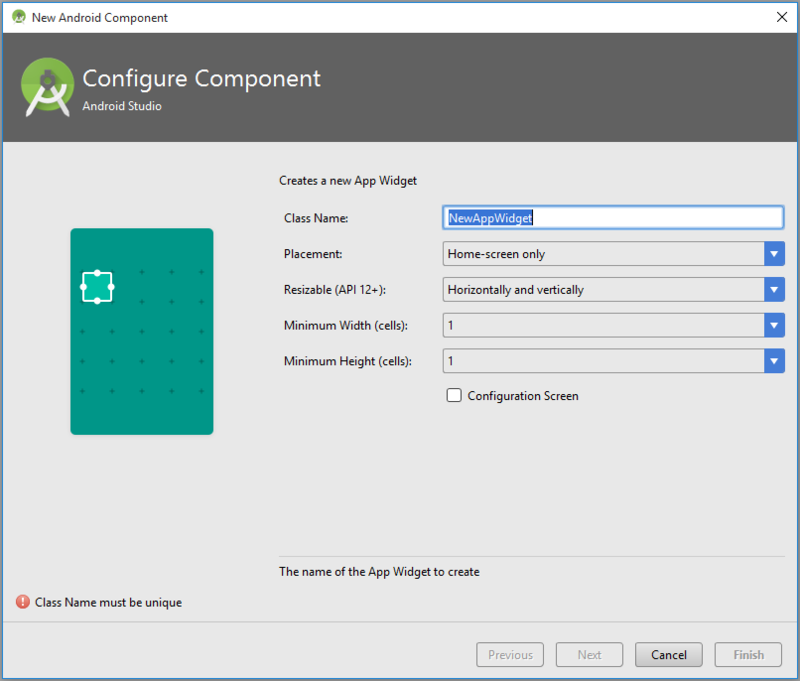 Latest Android Studio will create & integrate a Basic Widget to your Application in 2 steps. 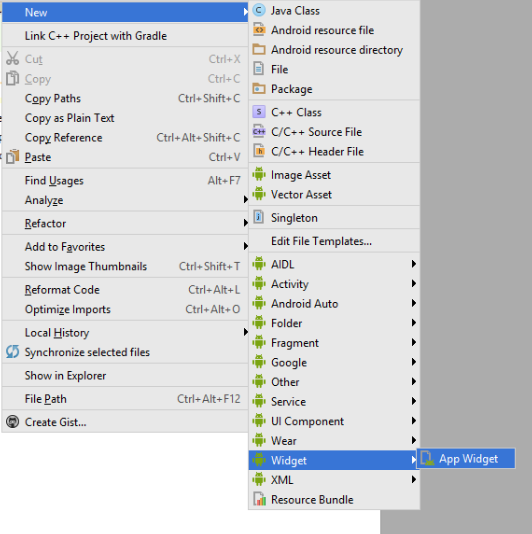 It will create & integrate a basic HelloWorld Widget(Including Layout File , Meta Data File , Declaration in Manifest File etc.) to your Application.